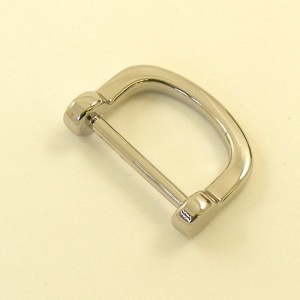 This is an attractive, high quality handbag D ring, made from nickel free (allergy safe) metal. 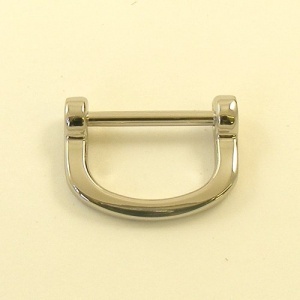 It is designed to be stitched onto the body of your handbag, and used to clip the shoulder strap onto. This fitting measures 25mm across the straight edge.